Exelis pyrolaria - Hodges#6478 (Fine-lined Gray Moth). 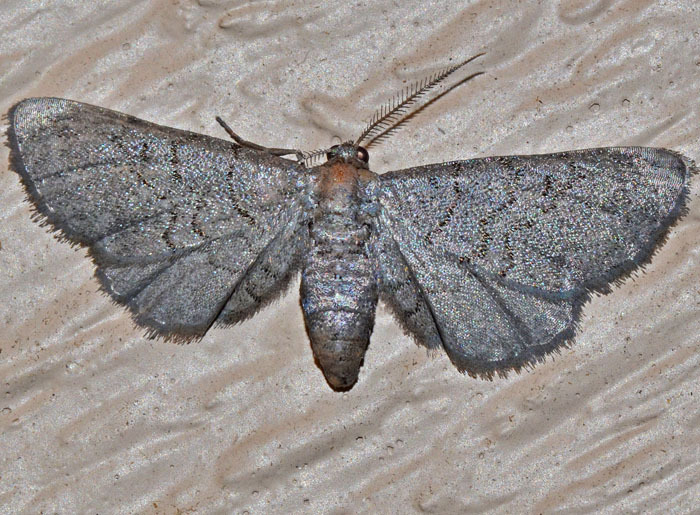 This unusually gray moth is Exelis pyrolaria. The photo shows most likely a female. The wing span is approximately 2 cm. The second link is to a rather technical publication on this genus.